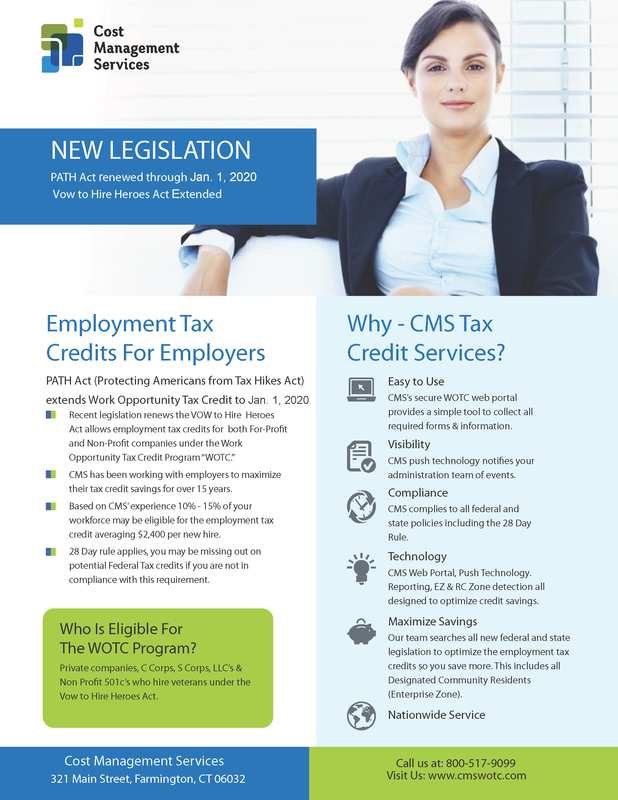 Partner with CMS to provide Work Opportunity Tax Credit savings to your customers. We do all the administration and processing work, and you get the benefit of happy customers, and recurring revenue. 1. Demo Support – Live Demo or Video. • Email Template(s) & demo times exclusive to your clients. • Blog post or other website content. 3. Quotes for Prospects who attend demos. 4. WOTC Account – You can use your own account to demo WOTC, or use it for your business.